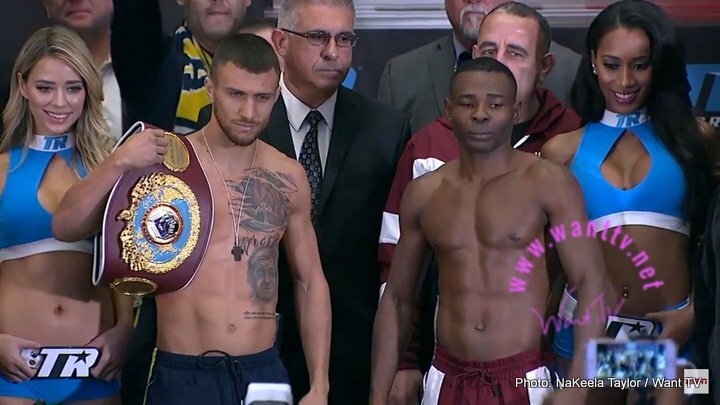 Lomachenko v Rigondeaux: Keys to Victory, Four to Explore, and Official Prediction! In all of the deeply documented decades of boxing history, never has the world seen what fans will witness tonight when two of the most decorated fighters ever face off. 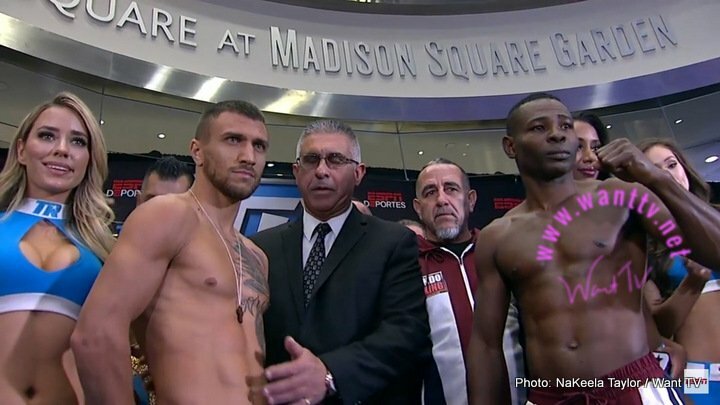 Coming in as the odds-on favorite is two-time Olympic gold medalist, Vasyl Lomachenko (9-1, 7KO’s). Standing across from him will be another two-time Olympic gold medalist in the Cuban born Guillermo Rigondeaux (17-0, 11KO’s. As we prepare for this epic showdown, we take a quick look at Keys to Victories, four decisive elements to explore, and an Official Prediction! For Lomachenko, keys to victory start and end with pressure. It’s no secret that the talented Ukranian warrior has a much higher punch rate. Couple that with great durability and you have a fighter that’s nearly impossible to defeat (ala Joe Calzaghe). Lomachenko will have to utilize that punch rate from early on to make Rigondeaux uncomfortable, and stay sharp defensively to escape Rigondeaux’s crips counters. If Lomachenko can stick-and-move like we’ve seen him do everyone else, in the end it’ll be the same results we’ve seen with him and everybody else. No surprises here…. For Rigondeaux, keys to victory are a bit more complex, although considering his smooth operation, it may not appear that way as he executes in the ring. When a technical fighter is facing a volume fighter, there are two ways to nullify high volume: Defense, and effective counter-punching. Good thing for Rigo is that those are two things he’s a master at. Executing this plan will take patience and poise. Having the longer reach, implementing a jab can only make this process easier. If he can execute these steps, this could be an easier night than most predict for the Cuban warrior. TMT or TNT? : The Mayweather ‘mantra’ is “hit and not be hit”. For nearly two decades we saw him rack up victories and evade defeat by following this one blueprint. Unlike Mayweather, Rigondeaux doesn’t have a case of damaged hands. So his power remains an issue for his opponents. Lomachenko is a very underrated defender who can be very slippery. Couple that with his punch output and he can be very difficult to outpoint. Does Rigondeaux press the gas and go for the KO by dropping bombs? Or does he stick to his script and of hit and not be hit? This one decision will define this mission. Clinch to Coast? : Lomachenko has dominated practically everyone he has ever faced. Amateur and pro. But in the lone loss of his pro career, we saw him tested in a major way by a raging bull he just couldn’t tame. When his basic skills weren’t enough, he employed the ‘clinch’ technique. It wasn’t effective against the bigger Orlando Salido. But it would definitely work against the smaller Rigondeaux. If the going gets tough tonight, will we see him revisit this tactic to aid in victory if it doesn’t seem possible any other way? Possible, and very probable. But lets wait and see…. No Respect: Boxing has shown Guillermo Rigondeaux very little respect. In a recent interview, he was quoted as saying “If I was Mexican, I would be celebrated. But it’s different for Cuban fighters. I do everything well, so I don’t know what the problem is. If I win, it’s a problem. What [do you think would happen] if I lose”? This quote tells us what fuels him most, even at age 37. Hidden beneath the deception is the fact that he agreed to take the very same 8lb jump the sports currently listed #1P4P fighter once refused (Golovkin with Ward). Will a victory finally give Rigondeaux the place he belongs in the sport? ‘Age’ Appropriate: The most glaring difference noted in the mind of fans between the two is age. The seven year age difference is quite the contrast, but is it truly all that we’ve made it? The Golden Era of the sport showcased fighters fighting two, three times per month. The current era with developed promotion only allows fighters to fight two to three times per year. So the wear and tear was far more prominent in the past than it is today, hence the success of the Hopkins, Mayweather types. Add to that the fact that these guys are defensive wizards and truth is, neither has any concerns relative to “boxing years”. Or do they? Tonight, questions raised will be questions answered. An old adage has it that “skills pay the bills”. Well, tonight we learn what happens when two skillsmen face off. By the end of the night, what fans will learn is that there are levels to “skills”. And while we’ve seen both men switch gears, it’s probably safe to say that one of the has shown us his highest gear, while the other has never had a dancing partner strong enough to summon his best. When the smoke clears tonight, fans can expect to see the unexpected. We’ve seen shades of Rigondeau’s greatness, but tonight’s performance could be a total stunner! Joseph Agbeko was the 2nd highest volume puncher in the sport when he faced Rigondeaux, yet Rigo out threw Agbeko by 510 punches, limiting the typically aggressive Agbeko to a historical low 48 punches landed in 12 rounds. Fear of return fire and afraid to keep missing (against such a defensive wizard) is an instant elixir for volume. Against Donaire, it was a similar role reversal. At it’s best, you only know the true value of a sports car when you put it on the road! Tonight, Rigondeaux will finally have the opponent capable of bringing out his ‘next level’. Prepare for a masterpiece! Previous boxing news: Gary Corcoran says Jeff Horn is guilty of head-butting; says he’ll bite Horn if he butts him! 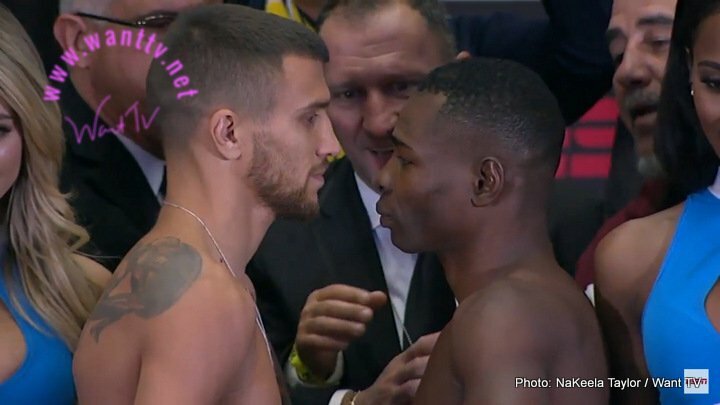 You are here: Home / Boxing News / Lomachenko v Rigondeaux: Keys to Victory, Four to Explore, and Official Prediction!